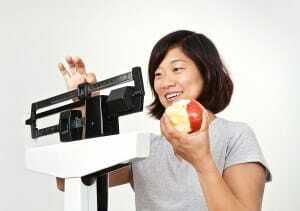 A medical weight loss program offers a number of advantages for people attempting to lose weight. First, it is overseen by a weight loss doctor, which makes it safer for patients who have other health problems besides obesity. Second, your physician’s weight loss plan is personalized to suit the needs of each individual. Dr. Urshan’s Quick Weight Loss Center provides a proven weight loss regime that gets results. Former patients of ours note that they lost weight with our program and have able to keep it off. We put an emphasis on resetting your metabolism. This includes “spiking” or raising your metabolism for a set time period every day**. Cutting edge weight loss technology is used to calculate your body’s chemical makeup and predict what exact steps are necessary to lose weight. Your medical weight loss will involve balancing your hormones, neurotransmitters, and detoxifying your body by balancing minerals and vitamins that will put you into an amazing fat burning zone**. We will fine tune your individualized weight loss program, so you’ll lose your weight safely. At the same time, your mobility will improve and flexibility will increase. Nutritionists and doctors at our quick weight loss center collaborate to create a diet plan for you that balances a limited number of calories with the nutritional support necessary to remain active and healthy. Proper nutrition and supplements may be needed to make sure you’re getting all of the vitamins and minerals necessary to maintain your overall health. If you live in St Petersburg, Clearwater and neighboring areas, Dr. Urshan’s medical weight loss centers can help you to achieve the amount of weight loss you want. Our staff is available to answer any questions. Contact us today and discover how we can help you get back on track to better health and a thinner figure!